Made from gccseal types of graphite yarn. It combines all the advantages of the flexibility, compressibility and eases of installation of a conventional packing; low coefficient of friction and high thermal conductivity; extended shelf life, does not harden. Good alternative to pre-formed graphite ring. 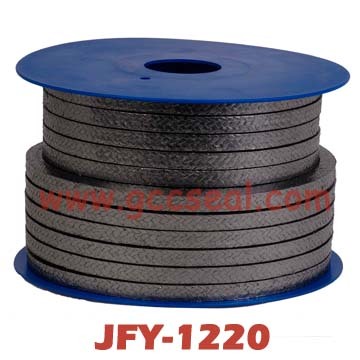 JFY-1210 Graphite packing reinforced by cotton fiber---Traditional graphite packing. JFY-1220 Graphite packing reinforced by glass fiber ---Use the glass fiber instead of cotton fiber to reduce the loss on ignition.